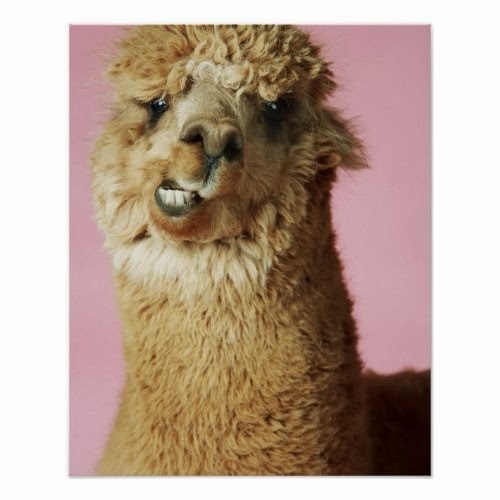 A poster featuring a funny, close-up portrait of a baby Llama. Llama is related to the camel family. Llamas are domestic animals. They are used extensively as pack animals in Argentina, Ecuador, Chile, Bolivia and Peru. If a Llama is overloaded, he will simply refuse to move. He will lie down on the ground and may spit, hiss, or even kick at his owner until his burden is lessened.